Where Can I Ceilidh (‘kay-lay’) in Edinburgh? ‘Ceilidh’ is a Gaelic word literally translating as ‘a visit’, but it can also denote a dance, a concert, or a party; its social connotations are reflected in its derivation from the Old Irish céle (singular) meaning ‘companion’. Ceilidhs originate from Scotland and Ireland, where they initially constituted a social gathering of any kind, although most frequently served as a literary entertainment or storytelling festival where stories, tales, poems, ballads, songs, conundrums, and proverbs would be recited. In modern usage, the dancing aspect has become predominant, and when people talk about attending a ceilidh, they mean an informal gathering where both locals and visitors come together to listen and dance to the ceilidh band. The band usually comprises 5 members, and includes an accordion, fiddle, drums, and sometimes other instruments, such as a tin whistle. Ceilidhs are often held during special occasions such as weddings, parties, birthdays, and fundraisers, as well as on important dates in national calendars, including (for Scotland) St Andrew’s Day, Burn’s Night, Hogmanay/New Year’s Eve and the end of the Highland Games. The fast-paced and lively style of ceilidh dancing is similar to traditional Scottish country dancing, but the two differ in that ceilidh dancing is not normally competitive. A ‘dance caller’ is usually present to explain each dance before it commences, allowing beginners to join in on the fun. Among the most famous ceilidh dances are The Dashing White Sergeant, The Eightsome Reel, The Gay Gordons, Strip the Willow and The Flying Scotsman. Ceilidh dancing encompasses set dances and couple dances; a ‘Set’ comprises 6 to 8 couples, with pairs of couples facing each other so as to make up a square or rectangle. Opposing couples typically exchange positions and partners. Around half of modern ceilidh dances are performed with couples dancing in a ring formation, and some involve the passing of female dancers along the ring. Another popular form of dancing at ceilidhs is Step dancing. Unlike Set dancing, which can involve all attendees, Step dancing is usually reserved as a showpiece and so is performed only by the most capable dancers. Where can I ceilidh dance in Edinburgh? Edinburgh provides ample opportunities to participate in regular ceilidhs through various clubs, bands, and one-off events, a selection of which is outlined below. As ceilidhs are a staple of the Scottish folk scene, there will – as with all of Edinburgh’s cultural activities – be a higher concentration during the Fringe Festival from the end of July, so the overview below covers up until then. For ceilidhs during the Fringe and thereafter, see The List entries here. If none of the dates below suit you, then see Mike’s Community for a more comprehensive list of upcoming ceilidhs in Edinburgh and beyond. 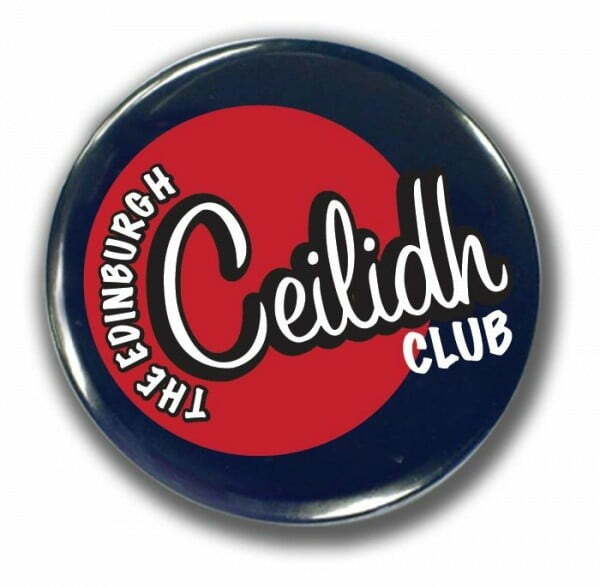 The club hosts ceilidhs at Summerhall every Tuesday from 8pm-11pm. They advise tickets be bought (weeks) in advance here. Dance callers will be present, so this series caters for novices and veterans alike. Further information on the ceilidh bands playing each week can be found on the club’s Facebook page. Additional tickets become available at 10am on the day of each ceilidh (tickets can be booked either online or at the box office, not by telephone). This community-based charity conducts ceilidhs as well as other social fundraising events. Their next ceilidh is on the 21st of this month at St Bride’s Centre in Edinburgh, to begin at 8pm (doors open from 7.30pm). Tickets cost £8 when bought in advance and £10 at the door; concessionary rates are £6 and £8 respectively, and apply to students, pensioners, people on benefits, unwaged citizens and minors. For more details, including how to book, please see the event listing. One of Edinburgh’s most active ceilidh bands, Norloch have over 20 years’ experience and hundreds of successful performances under their belts. Upcoming gigs include public ceilidhs on the 27th of June and the 18th of July. Both will begin at 7.30pm at Old St Paul’s Episcopal Church on Jeffrey Street, for which tickets cost £6 (£5 concession), with a family option for £15 (tickets are bought at the door). For more information, call 0131 556 3332. All ages and levels of experience are welcome at these Scottish country dance and ceilidh classes for LGBTQI people in Edinburgh and surrounding areas. Classes are held at the Mayfield Salisbury Church Hall on Monday nights from 7.45pm to 9.45pm. The first class is free, and further class prices are available upon request by using the contact form. A combination of clubbing and folk music, this event will be held from 11.30pm at Studio 24 (24-26 Carlton Road) on Saturday the 28th of June, with The Monster Ceilidh Band as guests. Tickets cost £2 for entry before 11.30, and £5 (£4 concessionary rate) thereafter; they can be ordered online here. Part of the Edinburgh International Magic Festival, this event will see UK comedy magicians compete for your vote, and the closing night party features a ceilidh in which they’ll participate. It will be held at the Roxy Art House (2 Roxburgh Place) from 10pm on the 4th of July for over-18s. Tickets cost £20 (£18 for concessions, including full-time students, senior citizens, disabled citizens and their companions) and can be ordered here. A 10% discount also applies to bookings by groups over 10. Tickets for this ceilidh at Edinburgh’s Counting House on West Nicolson Street cost £8 full-price and £6 for concessions (students and OAPs – ID required). They can be purchased at the door or via the website (the PayPal receipt will need to be shown at the door). The event begins at 8pm on the 24th of July, and under-18s are admitted provided they are accompanied by 2 adults over 25. Live music and a dance caller are provided by the Annasach Ceilidh Band, who describe themselves as having a more folk-orientated, as opposed to traditional ceilidh, playing style. More information on this event, including a link to purchase the tickets online and a buy-one-get-one-half-price promotion for a future ceilidh, can be found on the band’s website. We hope you have found this blog post informative, and welcome your comments in the box below. Stay tuned for further features shedding light on the different traditions underlying Scotland’s rich cultural tapestry. 2 Reviews of Where Can I Ceilidh (‘kay-lay’) in Edinburgh?